Hakuna Matata! What a wonderful phrase. It means no worries, of course, and at least so far, the Powers That Be over at Disney haven’t had much to sweat over when it comes to casting on Jon Favreau’s live-action redo of The Lion King. Soon after The Jungle Book filmmaker plotted course for the Pride Lands of Africa, the Mouse House confirmed the addition of both Donald Glover (Han Solo) and the great James Earl Jones, who signed on alongside the former Community star to reprise the iconic role of Mufasa. Couple this with the potential casting of Beyoncé – the singer-songstress has been linked with Nala, though there’s still no sign of a confirmation at the time of writing – and there’s no question that The Lion King has hit the ground running ahead of its theatrical release in July of 2019. However, the good news doesn’t end there, as TheWrap brings word today that Billy Eichner and Seth Rogen have entered final negotiations to voice Timon and Pumbaa, respectively. Hakuna Matata indeed. Much like The Jungle Book and last month’s Beauty and the Beast before it, The Lion King is angled as a live-action reimagining of the ’94 classic – itself an animated flick that was loosely inspired by Shakespeare’s great Hamlet. 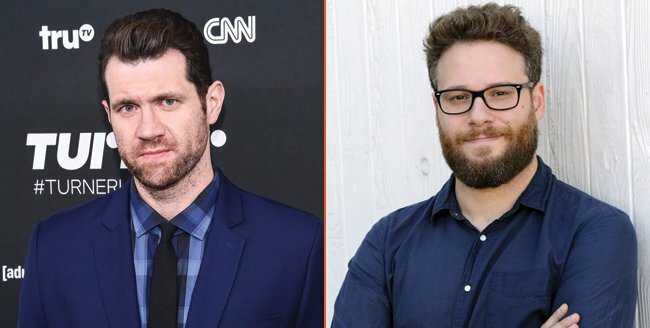 Disney is yet to announce anything official at press time, so Billy Eichner and Seth Rogen aren’t quite locked in just yet. We will, as always though, keep you posted as more information comes to light. The Lion King was one of a handful of Disney pics to secure release dates earlier today – Indiana Jones 5 and Star Wars: Episode IX being the biggest of the bunch. In terms of Jon Favreau’s live-action remake, though, expect Simba, Mufasa, Pumbaa and Timon to dance merrily onto the silver screen on July 19th, 2019.